As practice shows, not always the employer or the employee aware of which day should be considered the last working day at dismissal. In order to avoid possible disputes in court, you must comply with during the period of employee's dismissal, certain procedures. After reading the article 140 of the Labour code of the Russian Federation, we can understand that the day of the dismissal must be considered the last working day of the employee of the enterprise. But in life there are different nuances, for example, the production introduced a shift work. On the date of termination, wishes to retire the employee, can fall on a weekend day. In this case, what day should the dismissal order, to calculate, to issue a work book to man? For this reason gives an explanation of the Federal service for labour and employment (Rostrud). 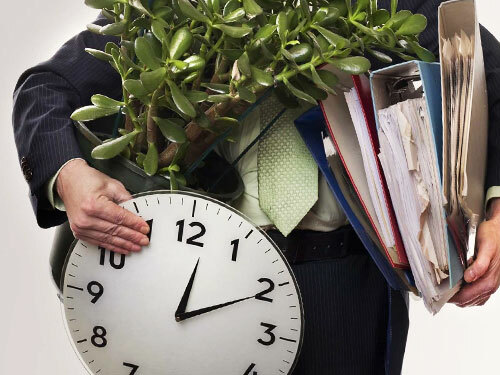 If the date of termination falls on a weekend, in this case, it is necessary to involve the accounting officer and the personnel Department to work on a weekend or work a holiday. To do this, you should obtain their written consent. Moreover, employees who agreed on a working day in its own output, should receive the accrual for that day of work double. In order to calculate and issue a work book, employees need no more than one hour. To invite them to the employer is unprofitable, because the payment must be double, and the way to work and from work will certainly take more time than the process of firing. The accounting Department, the personnel Department may not agree to the release of your day. Do not forget that the electoral organization of the Union must consent to such withdrawal of employees, mentioned in article 113 of the Labour code of the Russian Federation. So, without the consent of the accountant and the personnel officer, trade Union organizations, to dismiss the law the employee will not work. In this case, it is reasonably possible to make full payment on the first working day after the weekend. However, you must remember that delayed payment of wages will have to perform a compensation calculation, it is spelled out in article 236 of the Labour code of the Russian Federation. The amount of compensation is likely to be much less if you pay two employees a day off. Perhaps the employee who needs to resign, do not agree to the calculation after the output. He can argue that on Monday he was waiting at the new place of work. For such a case there is, in article 65 of the Labour code stipulates the last paragraph that allows you to employ workers without employment record. This order of dismissal does not apply when an employee does not work on weekends. The day of payment, employment records and other documents, at the written request of the employee, i.e. the date of dismissal will be the first day following the weekend.